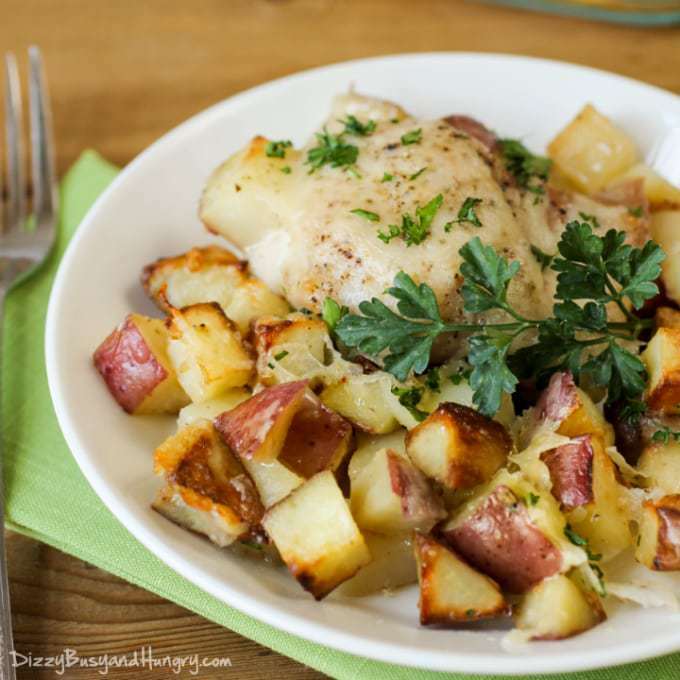 Potatoes tossed in garlic and olive oil and baked to a golden brown with tender, juicy chicken thighs. A family favorite! Preheat oven to 425 degrees F/220 degrees C.
Place the potato cubes in a large bowl, add the garlic, olive oil, salt, and pepper, and toss to coat. Spray a large (9x13) baking dish with non stick spray. Spread potato mixture in dish and bake about 15 minutes. Remove baking dish from oven and place the chicken pieces in the dish, nestling them down into the potato mixture a bit. If desired, brush the top of each chicken piece with a little olive oil and season with salt and pepper. 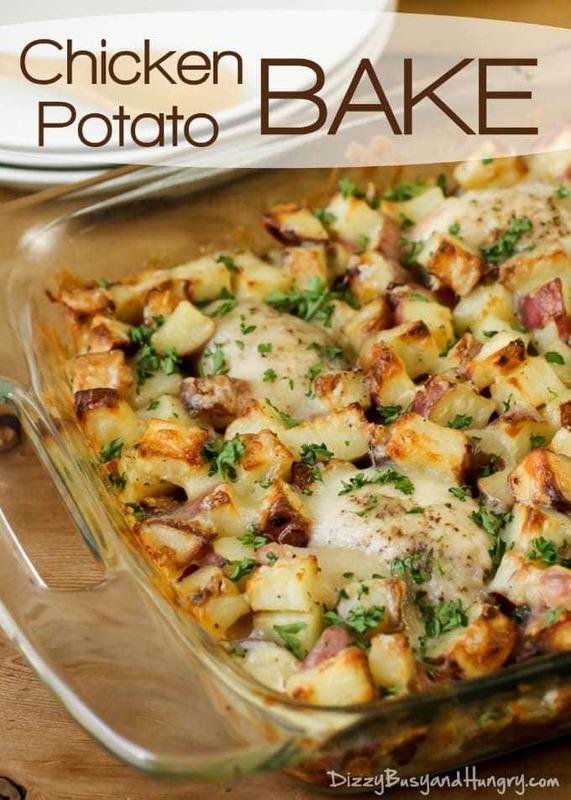 Bake 20-25 minutes, until chicken is cooked and potatoes are browned. Sprinkle the mozzarella cheese over the top, return to the oven and bake for a few more minutes to melt the cheese. When serving, sprinkle chopped parsley on top (if desired). 0 Response to "CHICKEN POTATO BAKE"